Hope your week has been superb! Based on the area that Penny lives in, I don’t think I’ll ever feel justified in complaining about the Summer heat again! 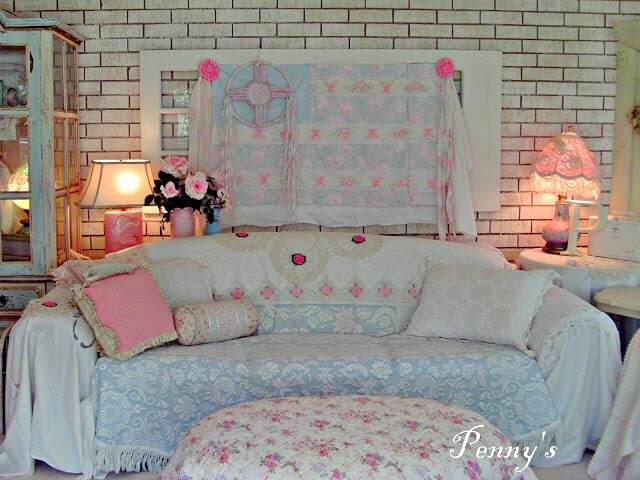 Hi, I’m Penny from Penny’s Vintage Home. 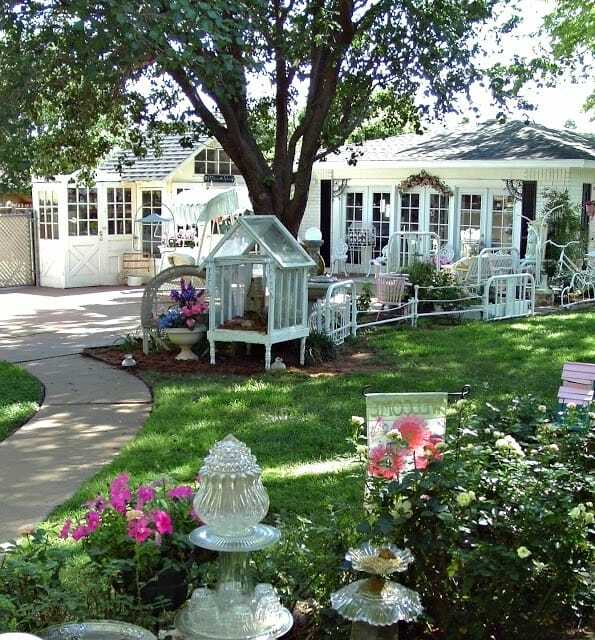 My vintage home is located in eastern New Mexico, about 8 miles from the Texas border. I live here with my husband that I lovingly refer to as H (short for Howard) We have been married for 46 years…wow, that’s a long time! 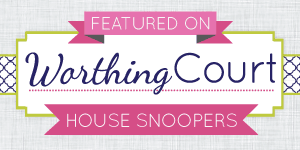 I am so excited to be a part of the House Snooping Series, thank you so much for inviting me Suzy! I hit the “publish” button on my blog for the first time April 28, 2012 and found out just how much I would come to love blogging! The photo above is the front of our home. We painted the brick white earlier this year and I love it! My home tour begins in the family room. When we moved here 7 years ago, the walls in this room were dark paneling, the fireplace did not have a mantle, and the floors were covered with a light beige carpet. I love the new look of our family room…here is a photo from Christmas 2012. We removed the divider that separated this small dining room from the family room and made one large living area. The kitchen is my favorite room in the house. It is bright and cheerful with plenty of room for everyone to join in the cooking. 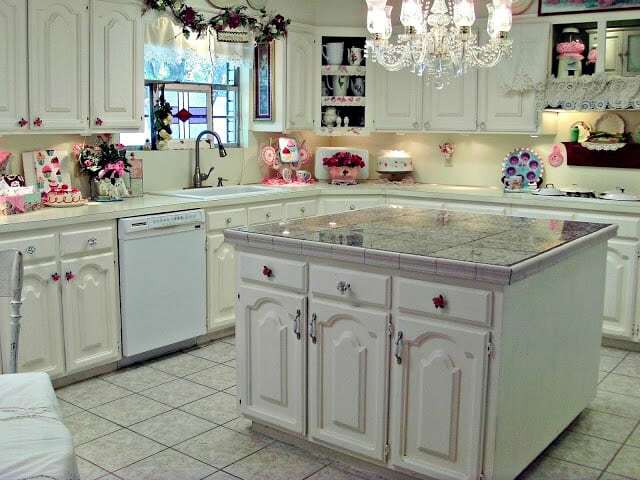 When we moved here, the cabinets were dark wood and the floor was covered with blue indoor outdoor carpet. Our sun room is bright and comfortable. We enclosed the open patio with six sets of French doors to make a sun room that we enjoy year round. 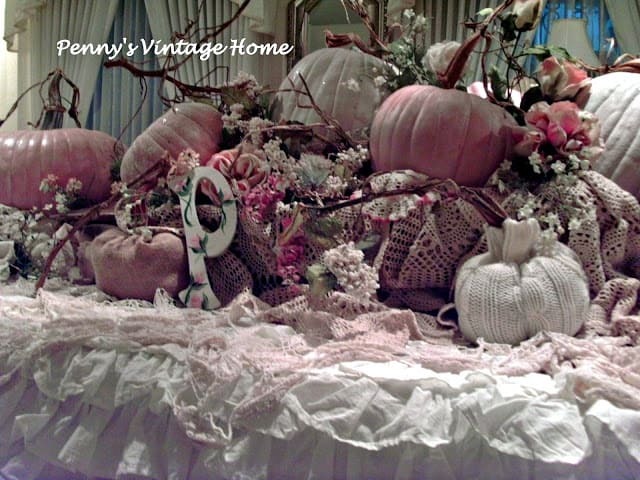 In this photo, the formal dining room is ready for Thanksgiving with glittered pink pumpkins. I made the ruffled tablecloth from muslin and pieces of lace…the chairs are covered with vintage wedding dresses. We updated the laundry room earlier this year. The dark cabinets all got a fresh coat of white paint. I also added a cabinet to store all the doilies in. 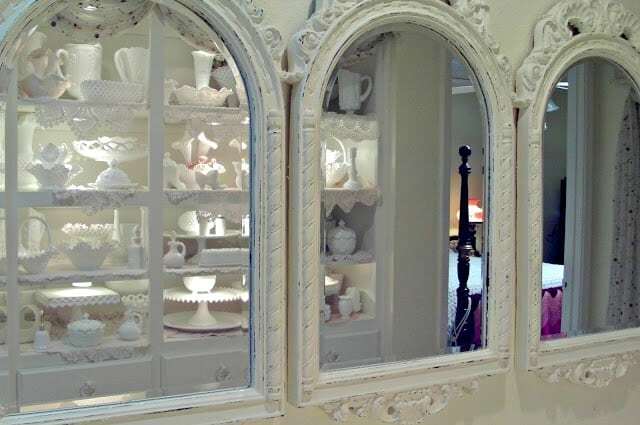 The display cabinet in the hallway also got a coat of white paint . H installed the new lighting and also painted the cabinet. 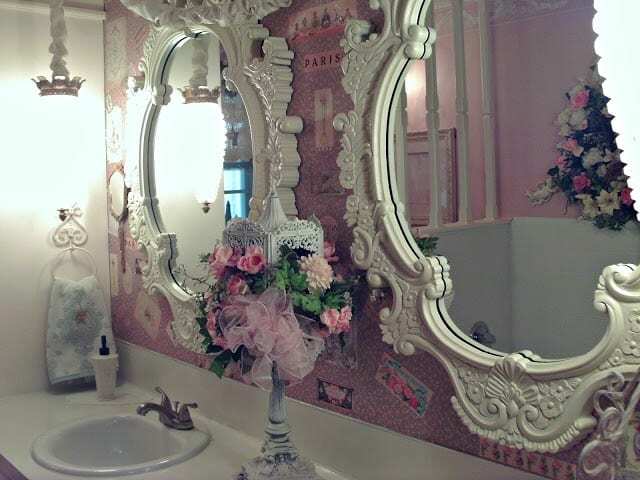 This is the main bathroom which I have decorated in a Paris theme. 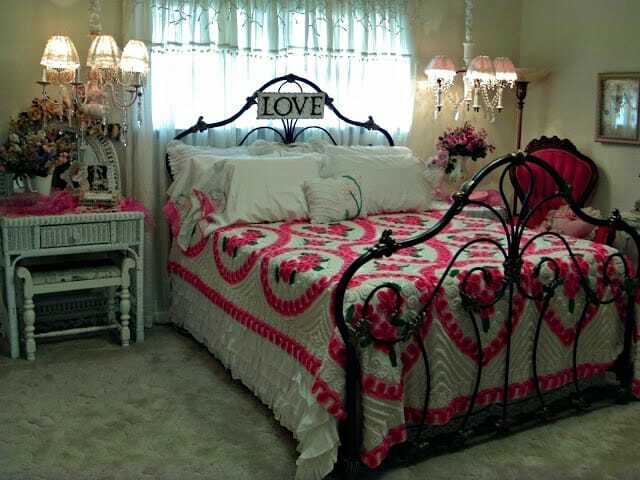 The master bedroom is all dressed up for Valentines Day with a vintage bedspread. I leave this tree up year round in the master bedroom. 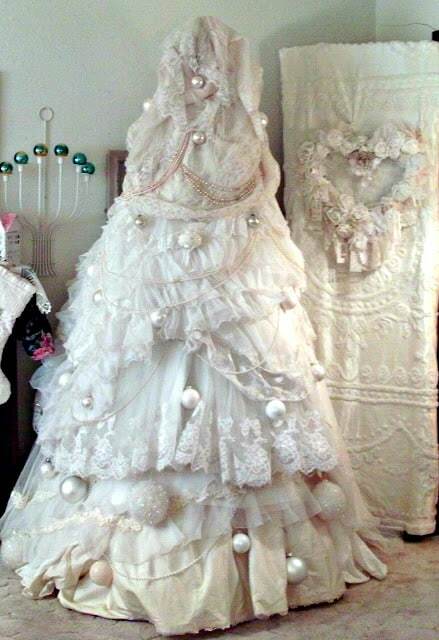 I collect vintage wedding gowns and I used 10 of them to make this tree. Don’t worry…none of them were harmed in the making of the tree! This is the bath off the Master bedroom. 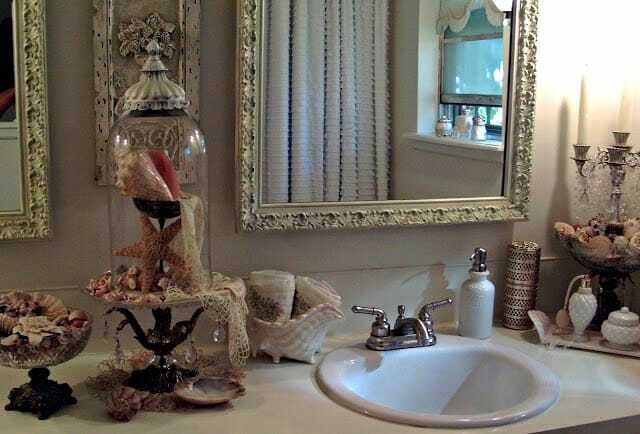 Last year we put in new sinks, faucets, toilet, counter tops, and painted the dark wood cabinets white. This is our back yard. The structure on the left is the Potting Shed. H made it from doors and windows that we collected on a trip up thru Kentucky, Tennessee, and on into New York. H is originally from NY and we visit family there every couple of years. The building on the right is the Studio. It originally was a second double garage… there is also double garage in the front of the house. So…we removed the garage door and installed 3 sets of French doors and added heat and air conditioning. I do crafts there and the back half is storage for seasonal items. I hope you enjoyed my home tour! Thank you Penny, for sharing your wonderful treasures with us. I can honestly say that I’ve never known anyone who collects vintage wedding gowns. You’ve sure used them in some amazing ways! « Announcing the 2013 Summer Showcase of Homes! I so enjoyed this post because Penny is a good Bloggy friend of mine and I Love her style and her home is drop dead gorgeous!! Good Choice!! 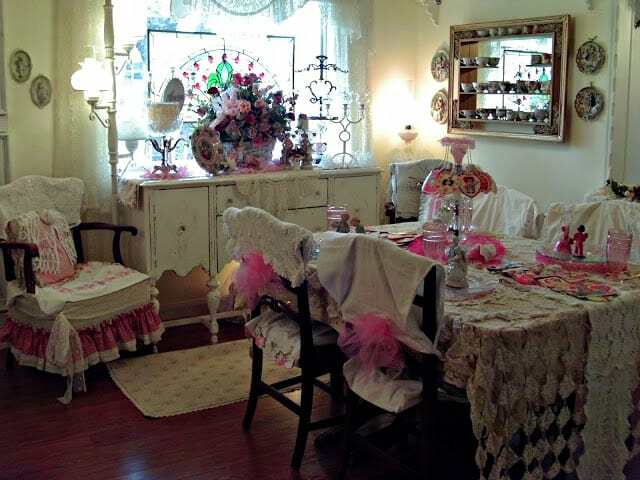 What a great H0me Tour and I have to say…No one decorates like Penny and has such a stash of great treasures!! She truly is amazing and an inspiration!! Penny, So happy for this feature, Girl!! Love Ya!! 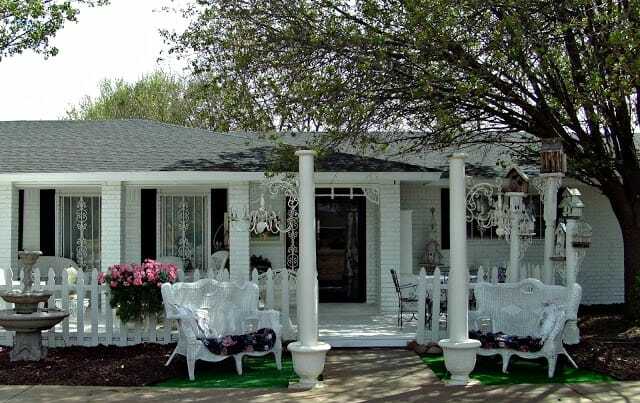 Wow…what a beautiful home and just love the outdoor spaces!!! Have a great weekend! I loved getting to snoop around Penny’s house! So beautiful and inspirational. 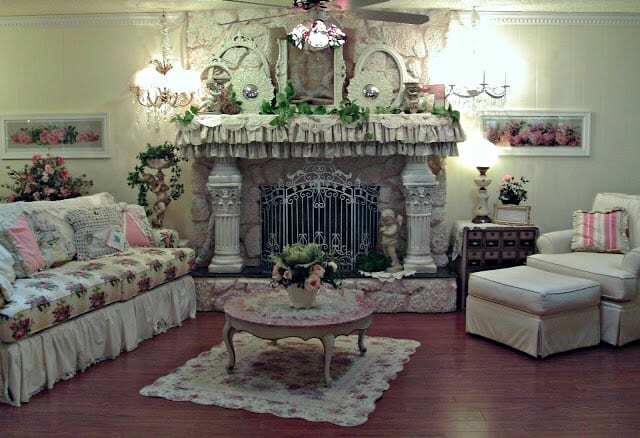 I bet people love to be invited over to sit amidst all the loveliness! I’m so glad you featured Penny’s adorable home in your House Snooping Series – it gave me a chance to discover your blog, which is great. I have spent much of the past year completely redecorating our old house and it’s been a lot of fun (and a lot of work). I always enjoy finding new inspiration. Have a lovely weekend! Penny has a beautiful home, I absolutely love her garden, it’s so whimsical. Penny has been a co-host at my weekly linky party. I would love for you to stop by and party with us, you have a great blog! I’m your newest follower via GFC. Wow! the vintage wedding gowns repurposed, I am about speechless as to the creativity flowing through Penny’s house! Thank you for sharing Penny’s home with us. She is as beautiful as her home. 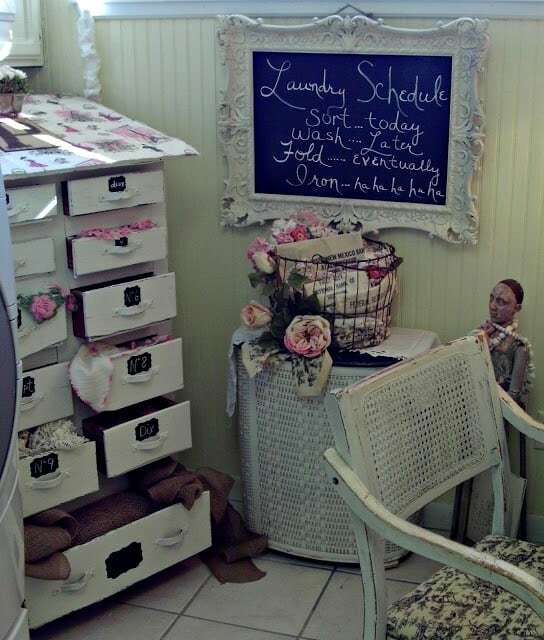 So sweet this one and so whimsy and creative in her decor. I love her kitchen and her outdoor space takes my breath away!!!! She loves her home and it shows beautifully. Great job Penny. Penny is so creative and I love how she uses old bed frames in her garden. 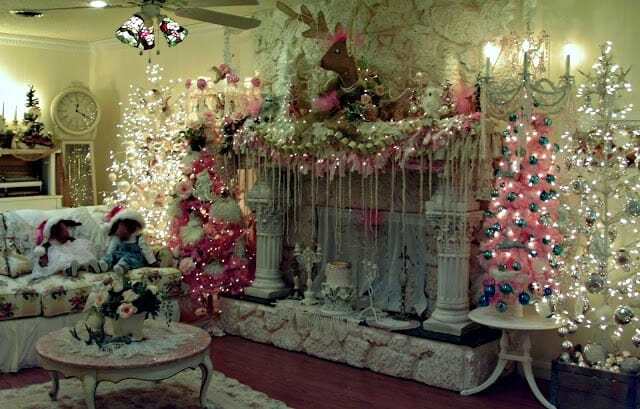 Her display of pink pumpkins is incredible and that’s the first tree that I’ve ever seen made from wedding dresses! It’s amazing how she made that but didn’t damage the vintage dresses!